When I first received this title I must confess that I was a little bit apprehensive about the disc being an absolute yawn fest. 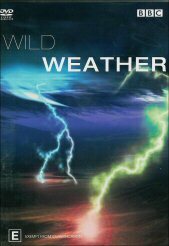 A DVD about the weather? Next please! So when I started the DVD why was I being confronted with images of skydiving and a man swimming in 46 metres cubed of water in the middle of a field? That's because it was being presented by Donal MacIntyre, action man and journalist whose task is to present the different forces of nature in an interesting manner that makes us want to learn more about it. The series uses cutting edge computer graphics and extreme scenarios to explain a variety of fascinating facts. Donal takes us around the globe on a voyage of discovery and unearths many fascinating facts. The extremely cool thing about the series is that the presentation is nothing short of staggering. I liked the fact that Donal was not scared to pit himself against the very elements that he was telling us about. From being blasted by wind, rain and fire and heat, Donal actually subjected himself to a wind tunnel going at 140 miles an hour and the effects were stunning as pressure was exerted by the wind on his body. In another scene, Donal allows a dam to be opened, unleashing tons of water upon him to demonstrate that even shallow water at high speed can be deadly. The sheer mass of rapidly moving water ripped him off his feet and only a restraining harness proved to be his saving grace. I think this DVD is an odd one for the simple fact that it's not something that you would normally buy. There is no question that schools should have this disc in their library. The audio visual quality is without question and if you are even vaguely interested, I strongly suggest that you get this disc. There is a wealth of interesting information on it that you will remember if nothing else due to the amazing way it was presented.